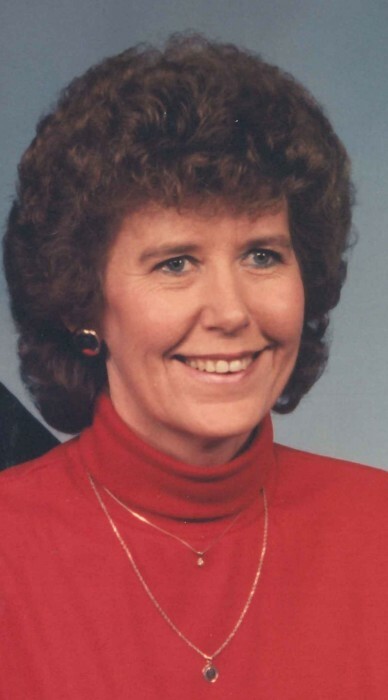 Peggy Jean Fleming, 75, of Winterville, died Wednesday, October 31, 2018. She was born in Jackson County to the late Curtis Wood and Doris Dailey Wood. In addition to her parents, she is preceded in death by her siblings, Jimmie Wood, Mary Harwell, Betty Jordan, and Richard Wood. She is survived by her husband, Larry Fleming, children, Lisa (Bruce) Carter and Tina (Mike) Saxon, grandchildren, Jenna Saxon, Brandon (Leanne) Carter, Erica Saxon, and Jesse (Maisie) Carter, great grandchildren, Wyatt Carter, Rhett Carter, and Adelyn Carter, and siblings, Troy Wood, Paul Wood, Tommy Wood, Ann Jackson, and Gail Wood. Peggy worked with Thomas Textile until it closed in 1988 and then went to work with Oglethorpe County Primary School. The family will receive friends from 11:30-1:30 Friday, November 2, 2018 at Lord and Stephens, East. Graveside service will follow at 2:00 at Arnoldsville City Cemetery.